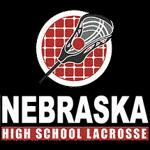 The Junior Jay Varsity beat Ankeny Lacrosse Club 15-5 on Saturday morning at Northstar Foundation’s field. The game was originally scheduled a Buell Stadium, then was moved to Beadle Middle School, then to Russell Middle School and finally to Northstar. Our host, Cort Irish, was a real-life saver to help us get this game in. The earlier game with Ankeny counted as a non-conference game and this was the game that was going to count to the overall standings. Prep scorers were led by RJ Moffatt (five goals and an assist), Paul Gordon (two goals and three assists), Jack Mausbach (four goals), Leo Dunlap (two goals and an assist), Max King (two goals and an assist),. Bob Lawton added a pair of assists and Mac Nelson added an assist. The Junior Jay Defense was led by Mac Nelson (8 ground balls) Matthew Buckley (6 ground balls) Leo Dunlap (6 ground balls) Michael Spitzenberger (5 ground balls) Max King (3 ground balls). Paul Gordon, Bob Lawton, Alex Kontz, Peter Wessling, Tyler Varney, RJ Moffatt each added a pair of ground balls. Tommy Barrett, Bo Kurtz and Nate Meier each added a ground ball. Freshman Javier Macias recorded 5 saves and the win in his second start of the season. Coach Grosskurth mentioned the slow start for the game. 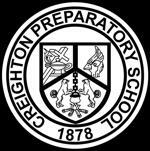 “I have never seen a Prep Team at a 1-0 lead into the second quarter. Everyone needed an earlier wake up call I guess”. Prep’s offense woke up in the second quarter to take a 7-2 lead into half time. After three quarters, Prep stretched the lead to 14-3. The final quarter saw more of the younger players get into the action where we gave up a cheap goal with forty seconds left. The win improves the Junior Jays to 6-0 for the season. Next up for the Jays is Sioux Falls Spark on Sunday April 22nd at 11:00am. The game is at Westside Stadium.